with an exclusive chapbook —Details are still being worked-out, but this edition is planned to be signed by all living contributors and the chapbook will feature, amongst other tidbits, Robert Eighteen-Bisang’s bibliography of vampirism in all of Bloch’s fiction. 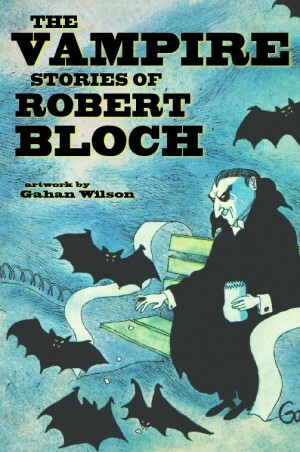 Robert Bloch (1917-1994) is one of the most fondly remembered and collected authors of crime, horror, fantasy, and science fiction of the 20th Century. Noted by many as the author of Psycho, Bloch wrote hundreds of short stories and over 30 novels. He was a member of the Lovecraft Circle and began his career by emulating H.P. Lovecraft’s brand of “cosmic horror.” He later specialized in crime and horror stories dealing with a more psychological approach.